Located within the Barrington Recreation Complex on Sherose Island. This facility is 82 feet long and 28 feet wide. The shallow end (20 x 28 feet) is only 2 1/2 feet deep. The pool then slopes down to a depth of 5 1/2 feet over the next 20 feet. The deep end (42 x 28 feet) is 5 1/2 feet deep. The pool is heated an a comfortable temperature maintained. Because of the depth of the pool diving will not be taught or allowed. A complete schedule of instruction using the Red Cross system will be offered. This includes parent and tot, school age, adult and life saving. 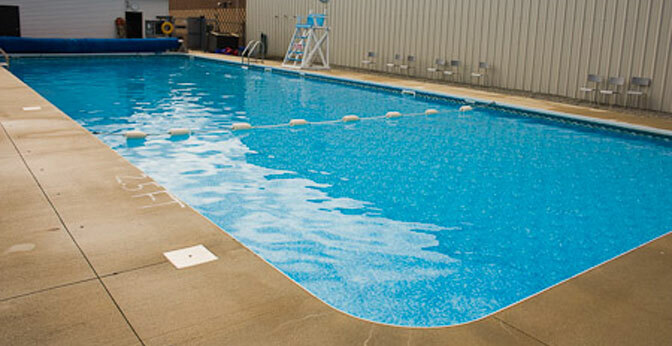 There will also be recreational swim time for youth, teens, adult and family. Pool rentals and private rentals will be available where pool schedule permits.